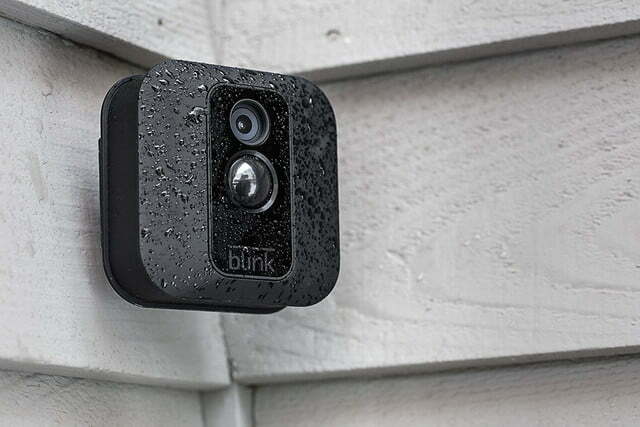 Amazon slashed prices on the full range of Blink XT outdoor home security camera bundles. We pay a lot of attention to home security at Digital Trends, especially outdoor security cameras, because security is one of the primary reasons people set up smart home systems. 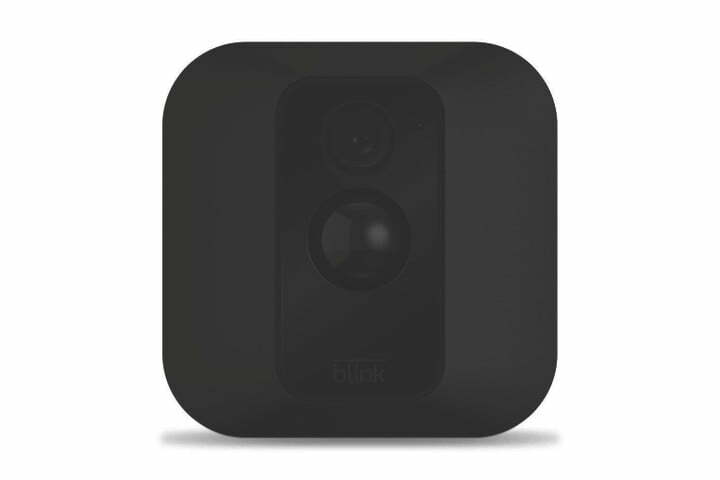 We’re fans of Amazon’s own-brand Blink Home Security cameras particularly because they save video clips to the cloud for free with no required subscription. 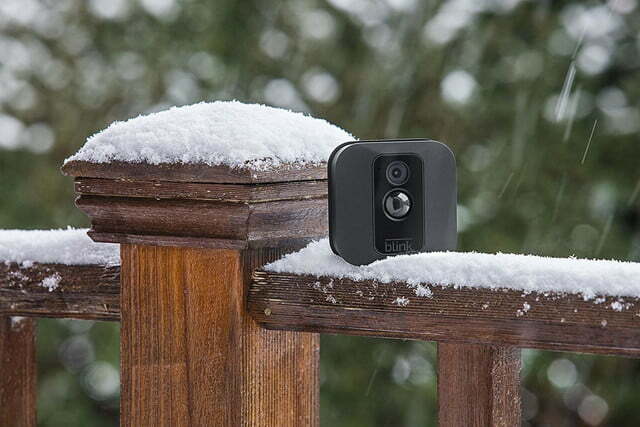 Installing the waterproof and weatherproof Blink XT indoor/outdoor cameras is relatively simple because they don’t require an AC outlet or a hardwired connection. Each wire-free camera runs on two AA batteries rated to last up to two years. 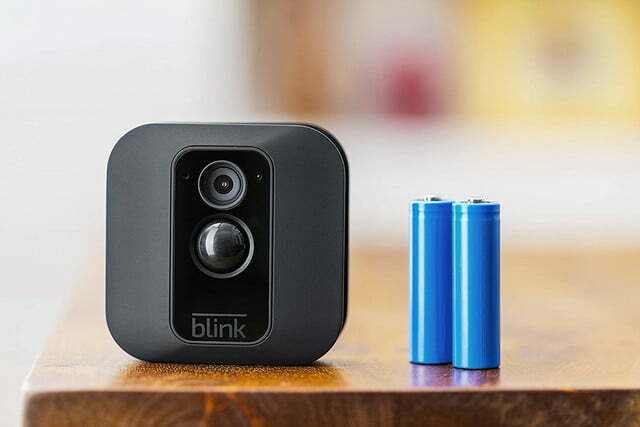 The camera system connects to your home Wi-Fi network via a Blink Sync Module. 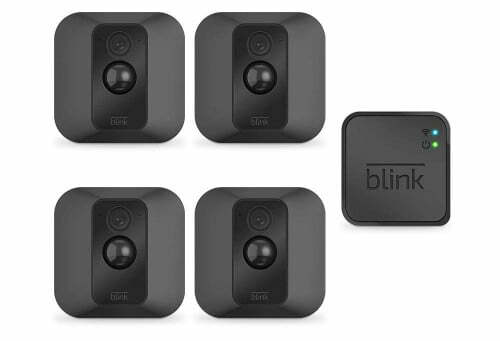 One Blink Sync Module supports up to 10 Blink cameras. A Sync Module is included with each system below, but not with the Blink XT Add-on Camera. When the Blink XT’s integrated motion detectors sense movement they immediately send an alert with a short HD video clip to your smartphone. The camera also has infrared night vision to capture video in low and no-light settings. If you have an Amazon Echo smart speaker, you can use Alexa voice commands with a Blink XT camera system to arm or disarm the security system, see the most recent video clip, or monitor a specific camera live. An Alexa system isn’t required, but with Alexa, you can stream to an Echo Show or Fire TV home screen to view the video stream. You can also use Blink’s smartphone app to manage the system and view video clips. 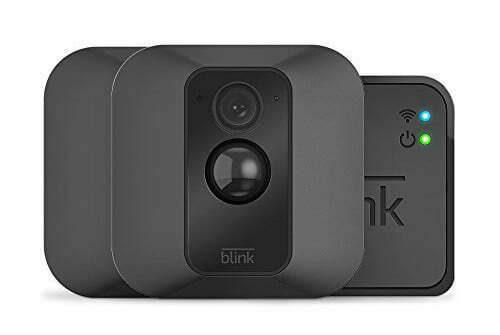 We’ve found the best discounts from Amazon on the Blink XT camera systems with one to five cameras plus the Blink XT Add-On Camera for existing Blink customers. Whether you’re setting up a new home security camera system or adding to an existing Blink system, these seven deals can help you save up to $200. The Blink XT 1-camera system includes a Blink Sync Module with the camera. Normally priced at $130, the Blink XT 1-camera system is just $80 during this sale. If you want a simple, easy-to-install home security camera setup, use this wire-free system with the free iOS or Android smartphone app. 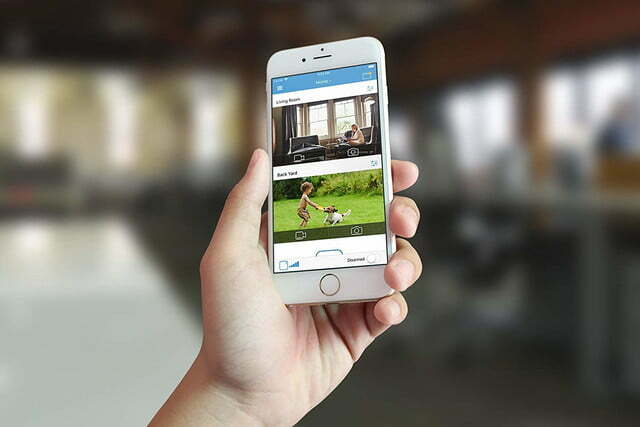 For just $80, you’ll get 24/7 live video coverage with motion-detection to send alerts with video clips and free cloud storage. If you’re just starting out and want a basic system, this is a great opportunity. The Blink XT 2-Camera System includes the Blink Sync Module and two HD video cameras. You name each camera separately so when you receive alerts; you’ll always know which camera sensed motion and started recording. Usually $230, the Blink XT 2-Camera System is just $140 for this sale. If you want to cover two indoor or outdoor areas, this is a solid chance to save at an attractive price. You can set up comprehensive video monitoring with the Blink XT 3-Camera System, which includes three cameras and a sync module. You could install a camera on the front and one on each side of your home. Another configuration could monitor your front door, back door, and garage door. You have more choices with multiple cameras and Blink’s wire-free setups make it easy to change your configuration if you later decide you’d like to move one or more of the cameras to different locations. Regularly priced $320, the Blink XT 3-Camera System is $200 for this sale. If you want to build a security system to monitor multiple areas, take advantage of this awesome price. The Blink XT 3-Camera System with a third-generation Echo Dot is a special bonus during this sale because you get an Alexa smart speaker for just $10 more than the Blink XT 3-Camera System described above. 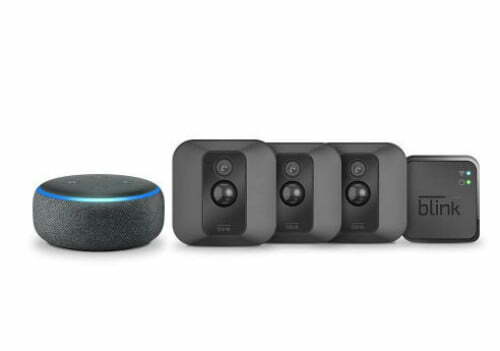 If you don’t already have an Amazon Alexa device, this bundle supplies all you’ll need to control your new video security system with voice commands plus all the other assistance, information, and audio entertainment that Alexa supplies. If you already have an Amazon Echo configuration, ten bucks for an additional Echo Dot is a rare deal. Ordinarily $370 purchased separately, the Blink XT 3-Camera System with Echo Dot is just $210 during this sale. If you want to configure a 3-camera security setup, this is an excellent opportunity to take possession of a great system and an Amazon Echo Dot at a compelling price. The per-camera price keeps dropping as you add more cameras to these systems. With the Blink XT 4-Camera System, you could cover all four sides of your home or three sides and your garage door. Instead of the usual $440 price, Amazon cut the Blink XT 4-Camera System to just $250 during this sale. If you want a 4-camera setup at a great price, this is a great deal. The Blink XT 5-Camera System is the largest bundled configuration Blink currently sells. 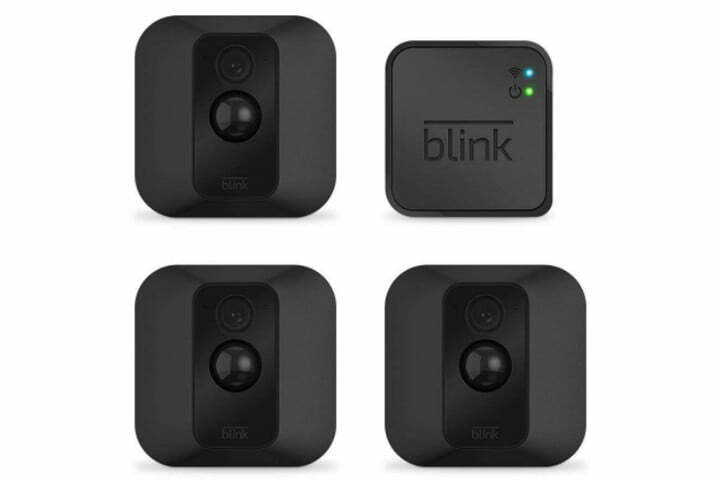 Because the Blink XT cameras work inside as well as outdoors, with five cameras you can set up a custom configuration that works best for your security needs. 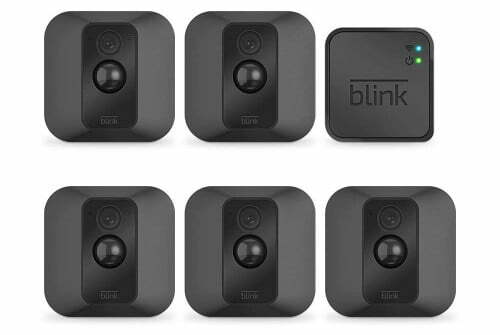 Plus, if you need to monitor more areas, the Blink Sync Module that comes with this system can support up to five more cameras purchased separately. Normally priced at $500, the Blink XT 5-Camera System is just $300 during this sale, a whopping $200 savings. If you need to monitor multiple entries and areas in or around your home, this is a great time to take advantage of these savings. 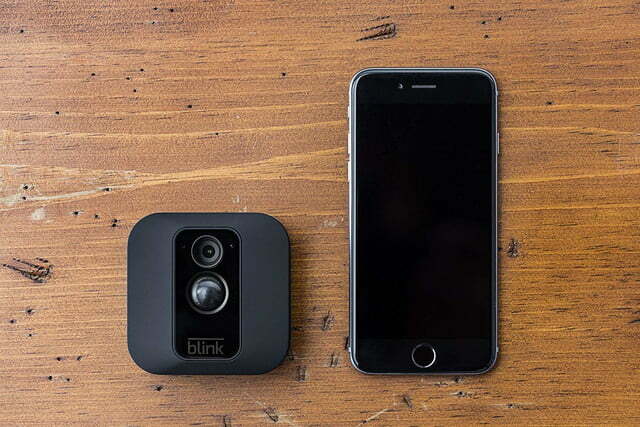 The Blink XT Camera Add-On won’t work without a Blink Sync Module. 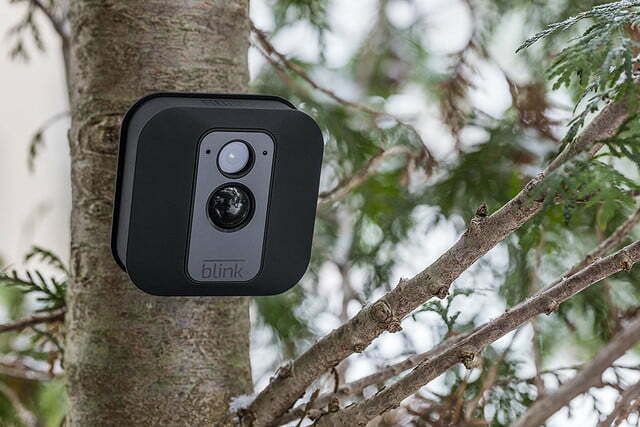 This camera is for existing Blink customers who wish to add another outdoor camera to their current system. 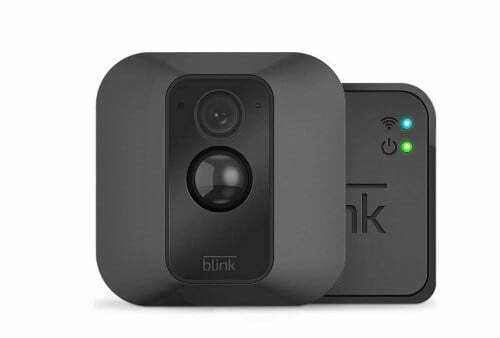 Regularly $120, the Blink XT Camera Add-On is reduced to $70 for this sale. If you need an extra camera for your system or if you’ve been waiting for a sale, now’s the time to take advantage of this sharply cut price.